A thriller set in ‘jannat’, around a tragic phase the Valley has been passing through. A clear cut story line revolving around a journalist, who has decided not to compromise with his profession, and show the ugly truth, when required, warts and all. According to various reports, Kashmir Valley has over two lakh drug addicts with over 75 percent of them in the age group of 18 -35. This is the issue which is the central theme of the film ‘Kashmir Daily’. 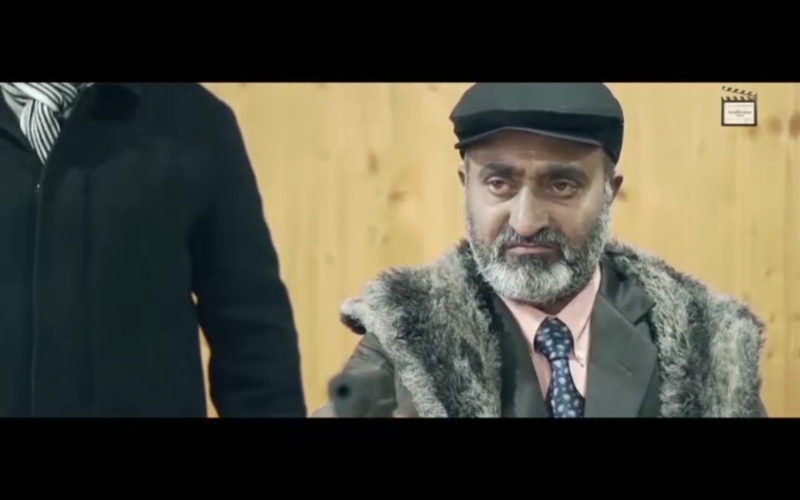 The film is probably, the first film by any Kashmiri director on this subject. Unlike, a few works which hit the Kashmiri film circuit in the recent years, ‘Kashmir Daily’ is focused on an issue, which is not purely local, but an international concern. The film attempts to bring out the issue of drug abuse that needs to be tackled on a war footing. Unless people of our era have decided to see the demise of our future generations. The film which went on the floor in 2012 and is now ready for release. This film by Hussein Khan is bound to create some curiosity and leave some questions unanswered. The audience will be left at a point, which will either start a chain reaction in their DNA, compelling them to think and take baby steps towards finding an answer to this problem plaguing the society, or will make them discuss the look and feel and aesthetics of “Kashmir Daily” and be over with it. During the length of the film, Kashmir will come alive within you, more so, if you originate from the Valley. Emotion, debates, concerns will form part of those who have witnessed Kashmir of the early days and are still emotionally connected to their roots. While the film can be watched by all, but it seems that the target audience of ‘Kashmir Daily’ are the people of Jammu & Kashmir State. Those who are from the State and over forty, will be reminded of the days of Doordarshan Srinagar’s dramas – Zameer Ashai, an established actor and the high dose of Urdu. Though I am privy to the main theme and how the film unfolds, visuals which are bound to create the wow factor, a Kashmiri song, and many more interesting twists and turns in the film are bound to keep the interest alive. I have decided to restrain myself from talking more about the story of “Kashmir Daily”. It is said that at times, for the larger good, one should leave the details hidden, in this case under the carpet of yellow chinar leaves, or let the smoke from the burning leaves of autumn stay suspended. Leave it for the time to sweep the carpet away and lift the smoke to heights for all to see the real story. The trailer of “Kashmir Daily” is doing the rounds of social media and has been able to create enough curiosity. Meanwhile, before I sign off, I would end with the statement – watch out for the performance of Rajinder Tikko (in particular), Zameer Ashai and Hussein Khana and Mir Sarwar who is the journalist in “Kashmir Daily”.